Spend your fall break in Fort Wayne, Indiana and enjoy one of our many fall festivals and events! 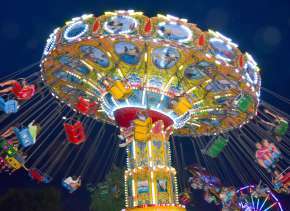 What Fort Wayne fall festival piques your interest? 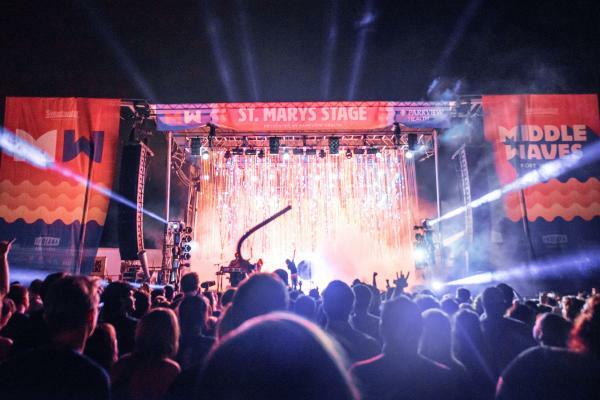 Middle Waves Music Festival is the perfect Fort Wayne festival for the music lovers. This two-day festival featuring local and national artists on three stages will be fun for everyone in the family. For the little ones make sure you check out Mini Waves, and everyone will enjoy all of the fun art displays perfect for those Instagram photos. Plus, Middle Waves is situated in Headwaters Park along Fort Wayne’s riverfront. Take a break with a trail ride or explore downtown Fort Wayne’s vibrant public art, shopping, dining and more! Other Fort Wayne Activity Suggestion: After rocking out to new and old favorites take a trip to Sweetwater for more musical inspiration and exploration of some of the best musical gear around! Are you ready to eat and taste some of the yummiest fall food? We are too. Your taste buds will thank you after visiting the Grabill Country Fair and the Johnny Appleseed Festival. Perfect for some country-style cooking, the Grabill Country Fair celebrates Amish heritage with crafts, kids activities, of course, food and much more. For those looking for everything and anything related to apples, grab a hay bale at the Johnny Appleseed Festival. Celebrate the life and times of John Chapman (aka Johnny Appleseed) with apple petals, caramel apples, apple dumplings, ham and bean soup, pork tenderloins, and much more! Other Fort Wayne Activity Suggestion: While you’re in Grabill explore this Amish community with a custom tour filled with some of the best stops and shopping! 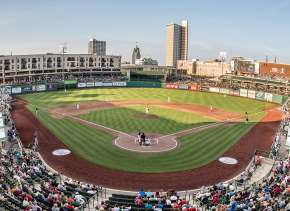 Fort Wayne, Indiana is a perfect family-friendly fall destination. 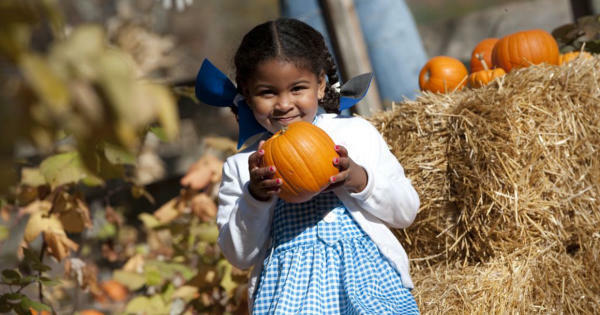 Fill your itinerary with the Fort Wayne Children’s Zoo Wild Zoo Halloween, the Kuehnert Dairy Farm Fall Festival, and a walk through the Botanical Conservatory’s pumpkin path and more. No need to stay up late for Halloween, plan a weekend in Fort Wayne for Wild Zoo Halloween. Trick or treat throughout the Fort Wayne Children’s Zoo and discover some of the great animals and interactive exhibits. For a classic family fall day, spend your afternoon at the Kuehnert Dairy Farm Fall Festival, which features hayrides, mazes, games, and food! And, for some picture perfect fun, take a leisurely stroll through the Botanical Conservatory and discover their fun pumpkin path displays. 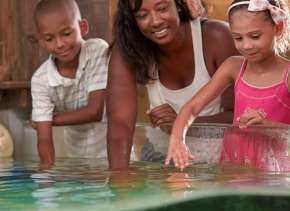 Other Fort Wayne Activity Suggestion: Round out your fall festival weekend with a stop at Science Central, a hands-on science museum filled with interactive exhibits. 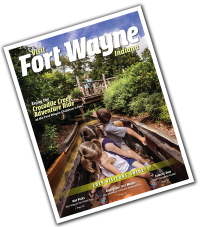 And discover, Fort Wayne’s riverfront in downtown Fort Wayne with a trail ride! For those that enjoy haunted houses and spooky stories, mark your calendars for Fright Night in downtown Fort Wayne. 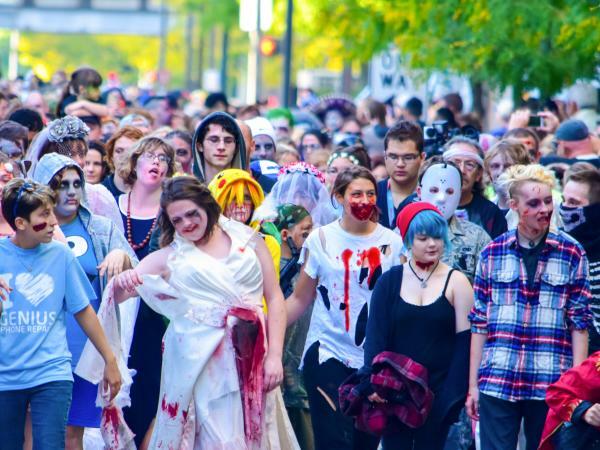 Dress in your best zombie attire and parade through downtown Fort Wayne during the Zombie Walk. Then join many of the fun free to low-cost activities at many great downtown locations including the Old Fort, History Center, Grand Wayne Convention Center, the Embassy Theatre and more. If zombies and frightening are too much, there are plenty of less frightening activities for the little ones. Other Fort Wayne Activity Suggestion: If you don’t make it to the History Center or Old Fort during Fright Night celebrations, make sure you fit these attractions into your itinerary. Discover the old city jail at the History Center and some Fort Wayne history at the Old Fort. 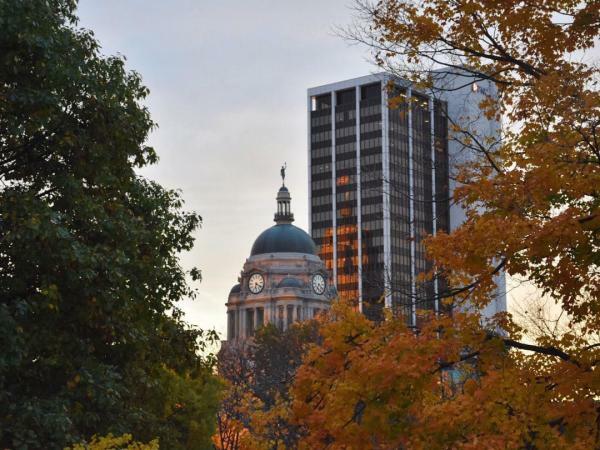 No matter when you plan your next visit to Fort Wayne, Indiana, there are plenty of fall activities to make a memorable getaway. Start planning today!